James Dresher and Virginia Morgan were raised outside of Pittsburgh, PA during the Great Depression. 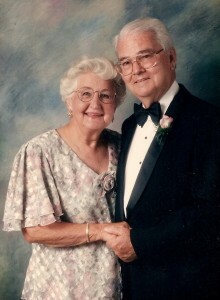 Their courtship developed during World War II, and they were married in 1942. They both credited their parents with instilling strong values that guided their approach to family, career, and community. 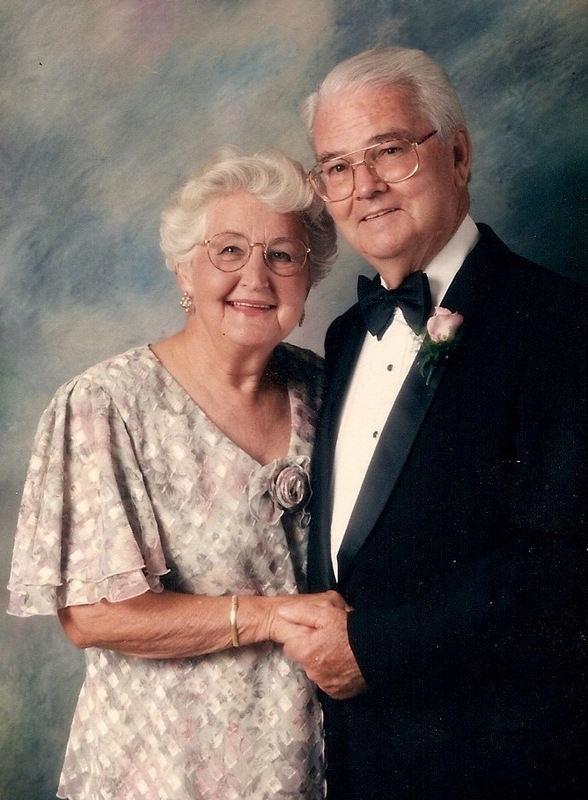 Jim and Virginia began their professional lives at the U.S. Steel headquarters, where Jim worked in the mailroom while attending business school and Virginia worked as a secretary. After becoming a CPA, Jim rose to top executive positions in various industries and became known for turning struggling businesses into prosperous ones, most notably York International, the global heating and air conditioning firm. Also an entrepreneur, Jim started several companies of his own. While Jim’s career moved the family across the country, Virginia remained the heart and unifying force of the family. The Dresher family eventually settled at the historic Glenangus Farm in Harford County. In 1989, Jim and Virginia created the Dresher Foundation to support charitable organizations in Maryland. Virginia was the first president, and today the board is comprised of children, grandchildren, and in-laws. The Dreshers’ commitment to education and enrichment is a vital part of their legacy. Jim Dresher passed away in 1999 at age 79. His values live on in the Dresher children and grandchildren who, together with his wife Virginia Dresher, continue a tradition of weekly family dinners and collaboration on philanthropic projects. The Dresher family, with Dresher Center Director Rebecca Boehling and Dean of the College of Arts, Humanities and Social Sciences John Jeffries, at the grand opening of UMBC’s Performing Arts and Humanities Building on September 19, 2012. In 2000, the Dresher Foundation committed to providing scholarships to UMBC Undergraduates from Harford County. In 2007, the Dreshers continued their generosity with a leadership gift for the Center for the Humanities at UMBC. 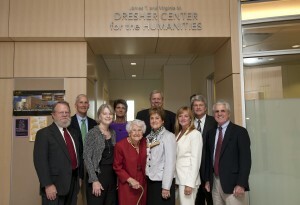 The Dresher Center for the Humanities was dedicated on September 18, 2007.